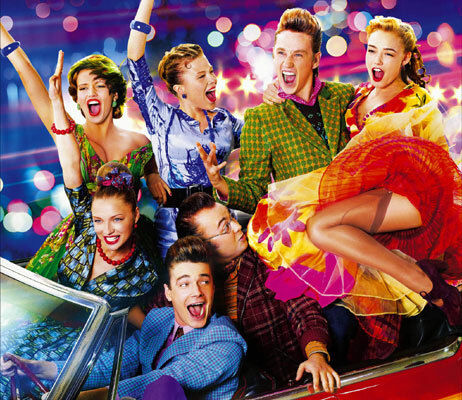 Hipsters is a candy colored musical set in Moscow 1955 at the height of the Cold War. Stalin has been dead two years and a revolt against the crushing conformity of Russian life is taking place among a small segment of the country’s youth who follow and emulate American jazz culture, its music and fashions, albeit in an exaggerated manner. Mels, a member of the Communist youth group Kmsomol, falls in love with Polly who is part of the Hipsters (Stilyagi) crowd and he soon becomes immersed in the Hipster scene of swing dancing, smoky nightclubs, hot jazz, pompadours and poodle skirts.